This week I have two different Valentine’s Day themed mani’s to share. 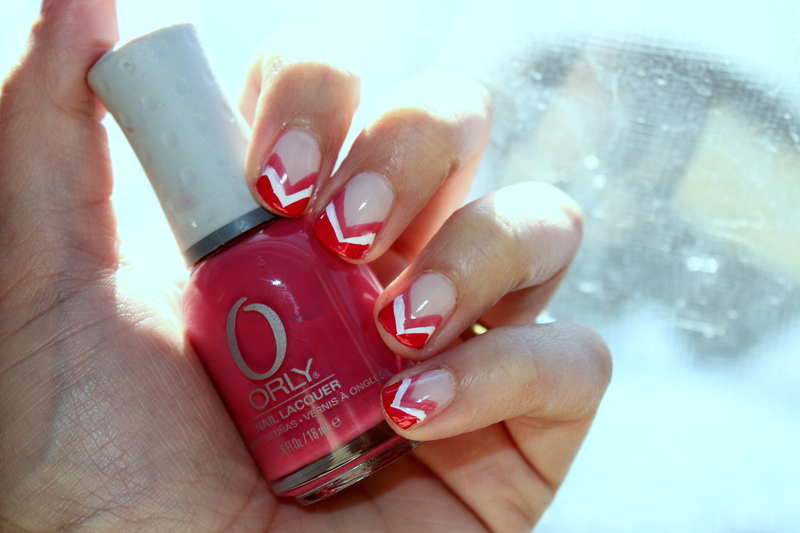 First is this pink white and red mani that is a sort-of simple twist on a french tip manicure. 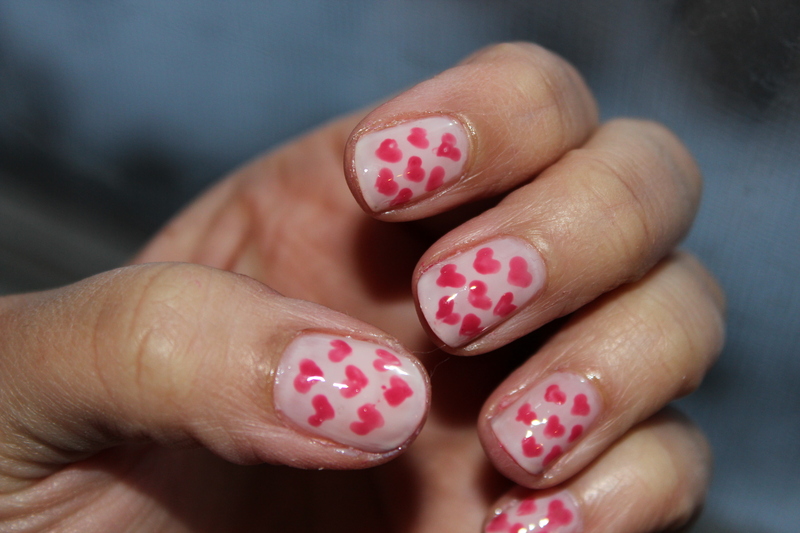 I used Diva Bride as a basecoat for this mani too, and then used my dotting tool to paint on two dots close to eachother, then dragged the tool down to make a heart shape using Orly Swizzle Stick. Hope everyone has a happy Valentine’s Day! What will you be wearing on your nails?